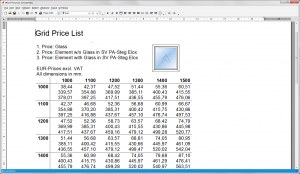 Estimate and display a grid price list. Click in the filemenu on “Programs” and select the option “Grid Price List”. An Overview of all grid price list functions is displayed. 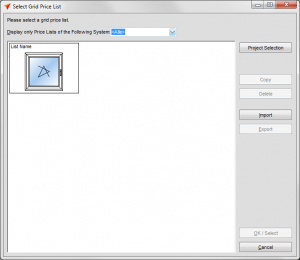 Here you may create new grid price lists and modify existing ones. You are also able to display already estimated grid price lists. A new window appears. Click on the button “Create a New Grid Price List”. In the following window you may enter the list name and select a profile system. The input of elements appears. Here you can enter the position. 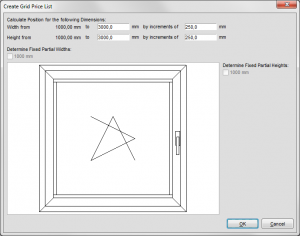 After you created the position you determine the dimensions for calculation. 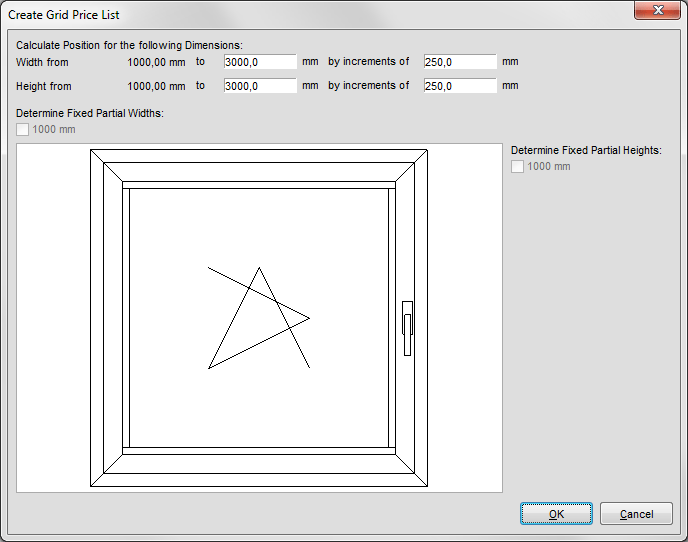 Enter the dimensions for height and width and define the increments. Click on the button “OK” to finish the grid price list input. 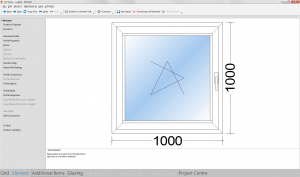 Before you may display a grid price list you have to estimate it. 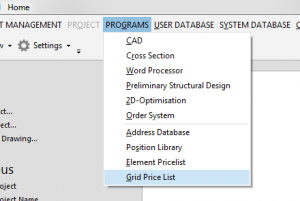 Select in the filemenu the options “Programs -> Grid Price List”. 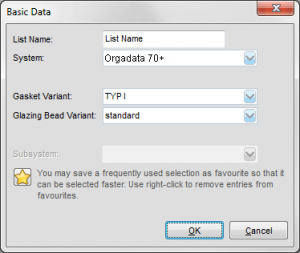 Click on the button “Modify an Exisiting Grid Price List”. Select a grid price list. 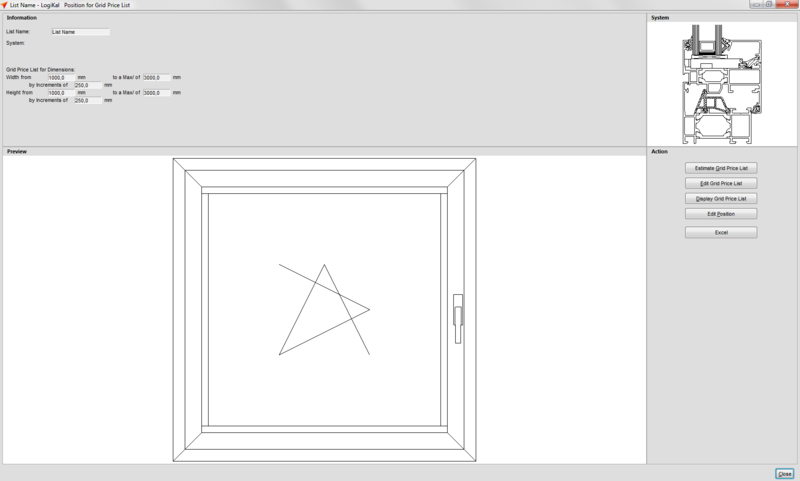 A new window with properties appears. Here you find the drawings and information of the grid price list. For estimation click on the button “Esitmate Grid Price List”. Confirm the estimation data. After that, you are able to use the “Roll Profiles” function. Select the option “Never”, “Always” or “Dual-Colour”. 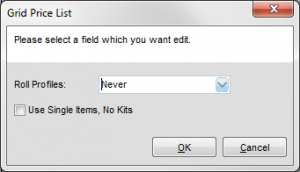 Activate the option “Use Single Items, No Kits” to consider single items. 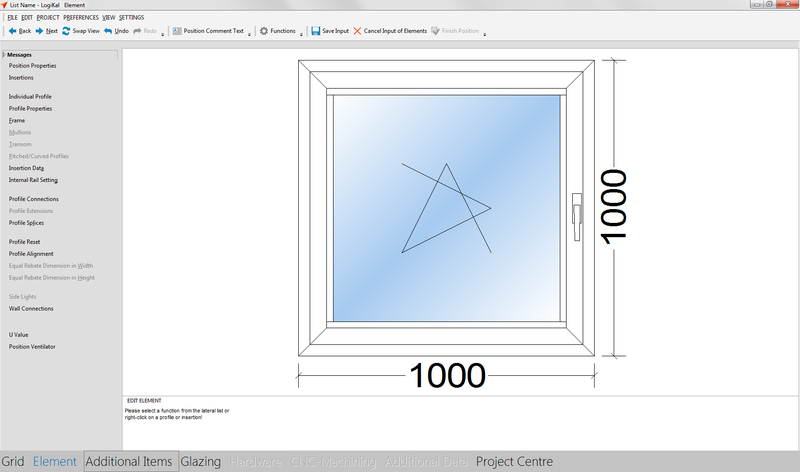 A new window with display options opens. Here you determine which price fields shall be displayed. Click “OK” to generate the grid price list. 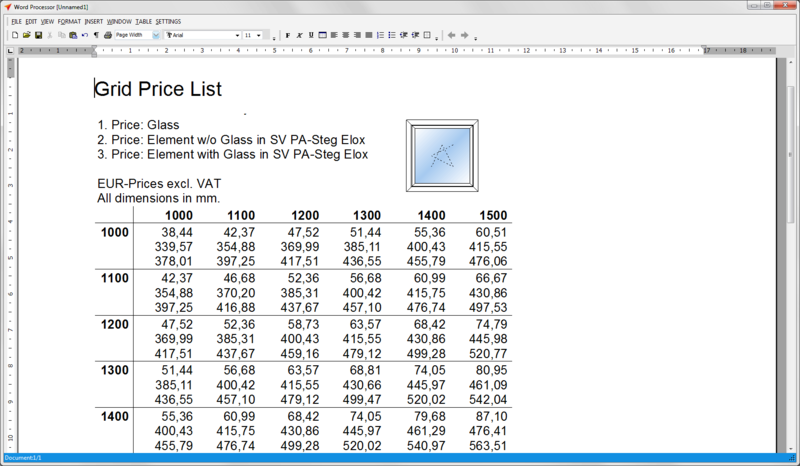 Click on the button “Display Grid Price List” to display the list on the screen anytime. 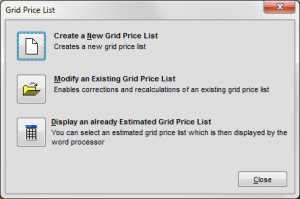 Select the button “Modify an Existing Grid Price List” and choose a grid price list. 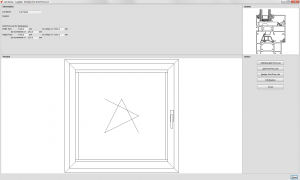 To alter a position click on the button “Edit Position”. A menu with different fuctions appears. You may create a new positions, modify the position, dimensions and glasses. Select the option “Display an already Estimated Grid Price List”. Determin which field shall be displayed. 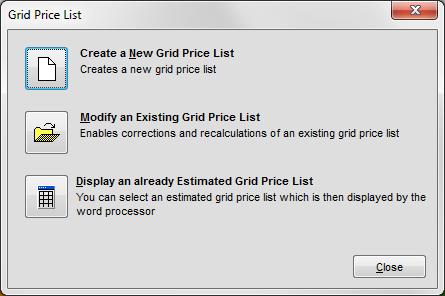 The estimated grid price list is displayed as text document.